Irma G. Garza, 84, of Brownsville, passed away on Monday, March 18, 2019 at Valley Regional Medical Center in Brownsville. She is preceded in death by her husband, Andres Francisco Garza Sr.; a son, Johnny Lee Garza, and a brother, Ruben Garcia. 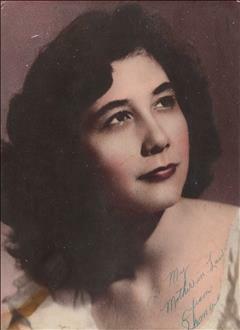 Irma G. Garza is survived by her son, William N. Garza, Andres F. Garza, and Robert E. Garza; a brother, Esteban Garcia, two sisters, Dora Betancourt, and Norma Stroup.